Oh, London, you beautiful city that never sleeps or fails to impress with pop-up exhibitions, ice cream pleasure stores or other wonderful surprises. Discovering your gems and learning about your diversity fascinates me every day. My general interest and curiosity have brought me to see the Yayoi Kusama Pumpkin and mirror room exhibition, and lately, I experienced a FREE Harry Potter exhibition, just around the corner from where the Harry Potter musical is staged in Cambridge Circus. Greek Street - the little, ordinary side street in Soho where celebrities and media moguls go in and out of Soho House, has the latest attraction. Once you turn into the narrow street just off the hustle and bustle of Shaftsbury Avenue you see it shining in the distance to your right. 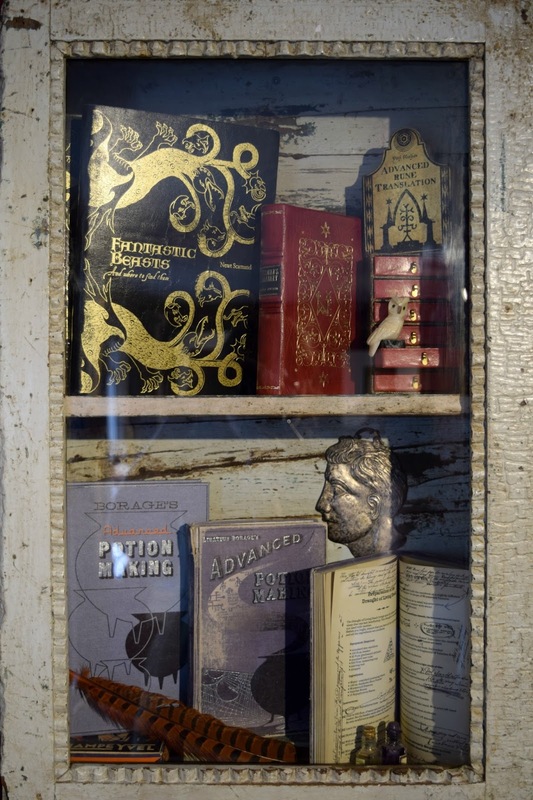 The bright pink coloured house with a joyful chaotic window display is The House of Minalima. It literally sparkles miles away and has been recently the place of pilgrimage for dedicated Potterheads and tourists. 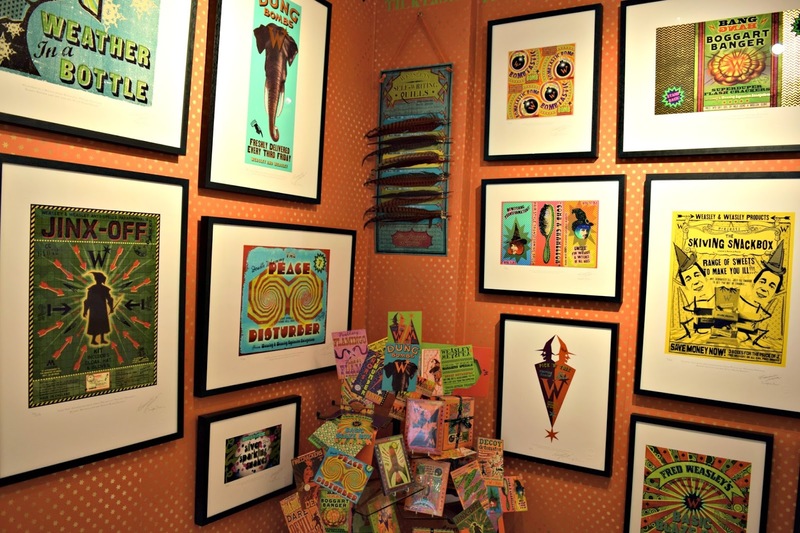 MinaLima is the award-winning studio founded in 2009 by Eduardo Lima and Miraphora Mina. Both have ever since designed various publications and merchandise and are responsible for the artwork in the Harry Potter franchise. Now a collection of their graphic designs from the iconic films is on display. 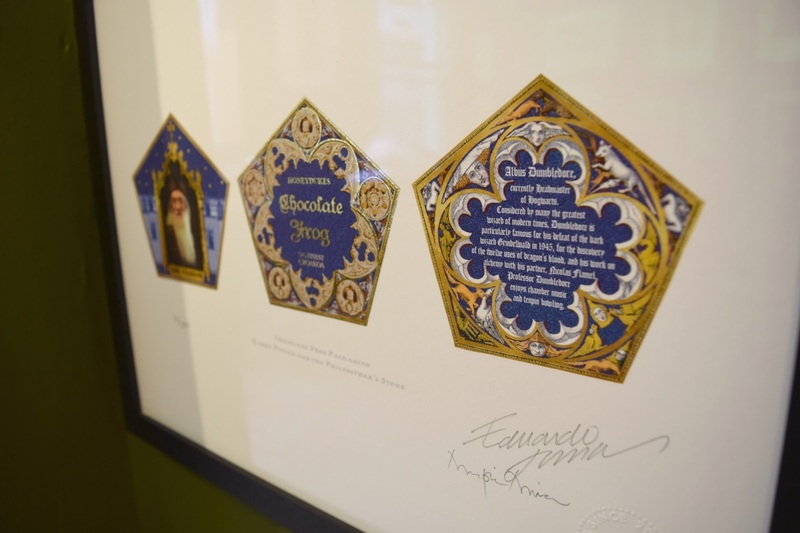 Fred & Georges novelty store, packet designs of sweets from the magical world, book covers, Quidditch posters, the tapestry of the Black family tree, Rita Skeeter's Dumbledor biography or The Marauders Map - all designed by MinaLima. The old house has a wonderful charm with its angular shape, narrow ceilings and uneven staircase. 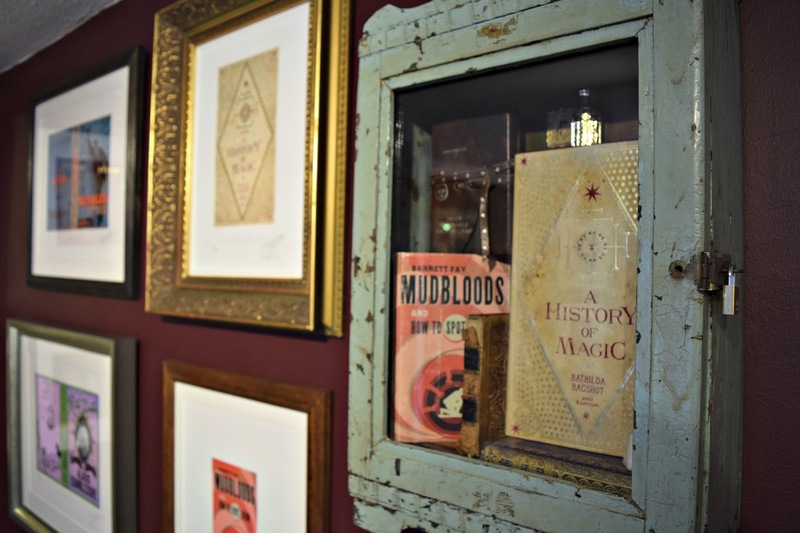 It boasts from floor to ceiling with artwork and graphic designs of the magic world that we've all have fallen in love with. 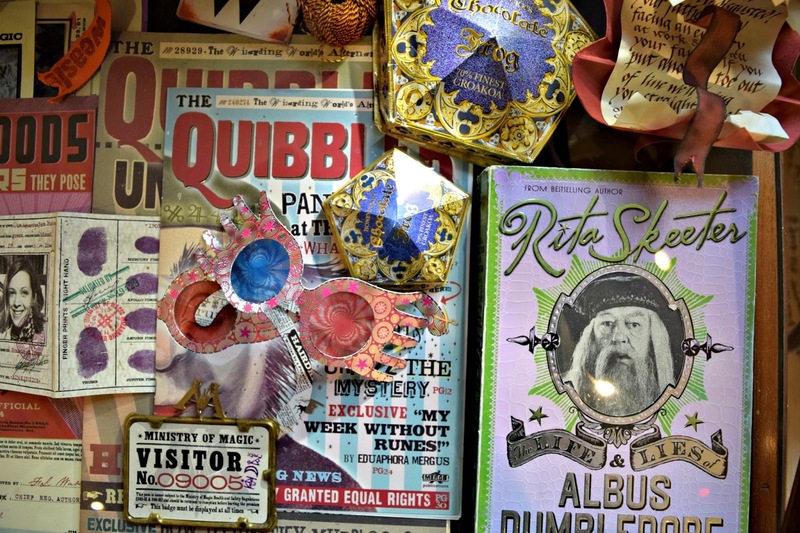 The ground floor welcomes you with a gift shop, a staircase covered in Hogwarts letters leads you to the first floor where you'll find posters, wallpapers, The Marauders Map and some requisites from Fred & George's store. On the way to the top floor, the walls are plastered in articles of The Daily Prophet, one room is entirely dedicated to the magical newspaper. Though I always found The Daily Prophet too cluttered you are able to fully inspect every inch of the paper that has ever been produced and I must admit, it is very impressive how much effort and detail has gone into creating The Prophet. The artwork itself deviates a lot in quality for my taste. There is The Marauders Map or the Black family tree tapestry that have this magical element to it. The same style is for example found in Lockhardts book covers or the chocolate frog card and packaging. I think it is the mixture of calm colours and vintage gold that make these pieces stand out to me the most and create the magical enchantment that will always draw me into the world of Harry Potter. On the other hand, there are these very loud, immature and abstract pieces which do not fit into the Harry Potter world for me. The designs are too clumsy and chunky. Some of the book designs are very childish and can't trigger that spark. 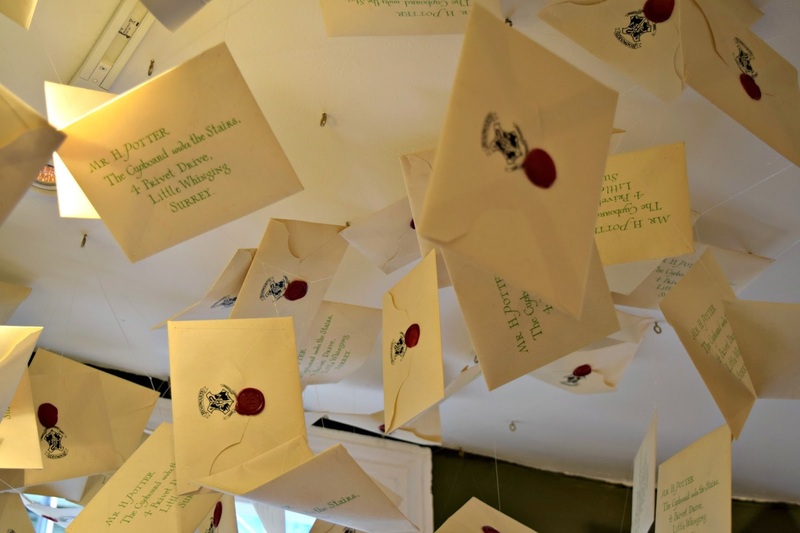 Though it says "Quidditch" or "Harry Potter" on it, it just doesn't feel like it. The impact of mystery and enchantment are missing and to me, those pieces have not become part of the magical world and simply do not belong there. Albus Dumbledore's biography looks more like a cheap telephone book rather than a book from another world. 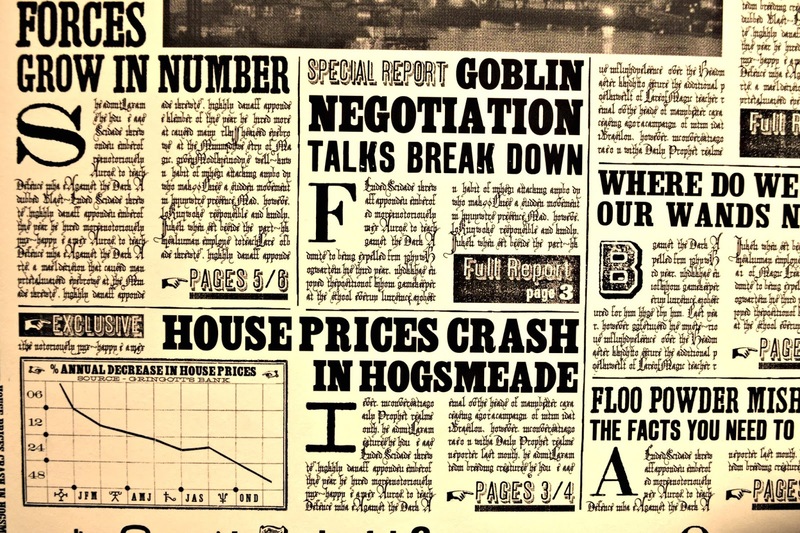 However, as I've said the majority of artwork displayed is very much in the magical "Harry Potter" style and I'm glad the filmmakers decided to stick with MinaLima over the entire production period, which gives the films unity. There have been so many exhibits that it was hard to decide, which ones to choose for today's post, but I hope you'll head over to Greek Street yourself to escape into this unique world. 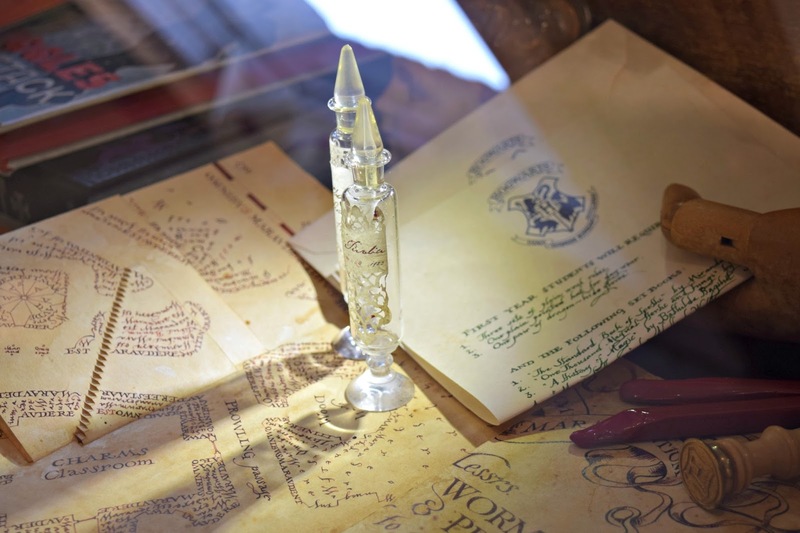 If you've fallen in love with a particular exhibit, you can purchase a copy from the ground floor shop to take home and there are tonnes of Harry Potter stationery. 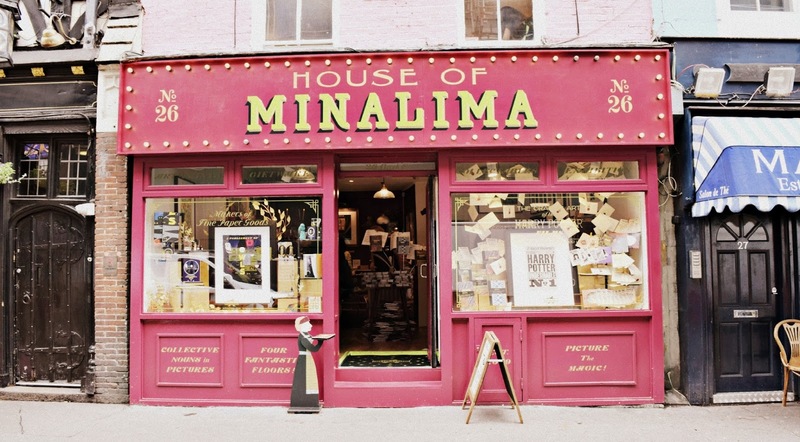 The House of Minalima is open daily from 12pm onwards. Thank you so much for reading today's post. 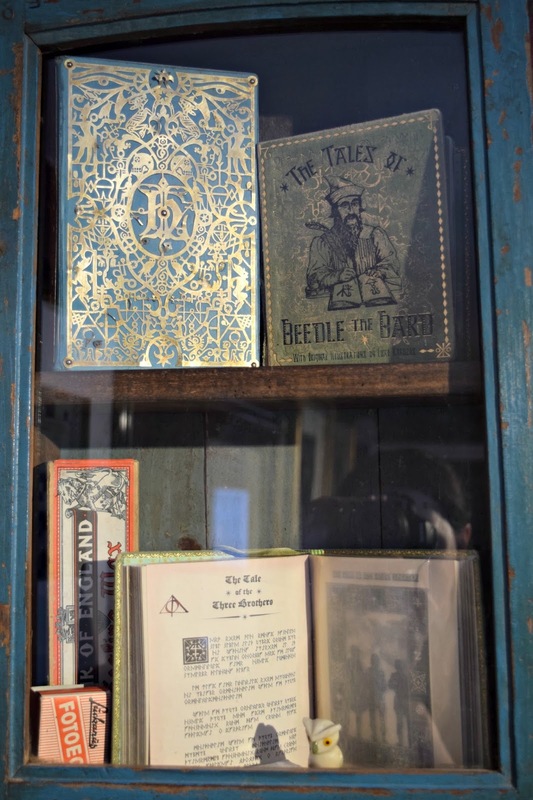 If you've been lucky to have visited The House of Minalima, please let me know and link to your blog post in the comment section. If you haven't been yet, I'm interested to know if this would be of interest to you or if you know of any other Harry Potter exhibitions.